8 September was proclaimed International Literacy Day at the 14th session of UNESCO’s General Conference on 26 October 1966. Celebrated annually, it is an opportunity to celebrate improvements in world literacy rates and focus on the challenges that remain. Literacy plays a key role in the UN’s Sustainable Development Goals and the UN’s 2030 Agenda for Sustainable Development. This time last year, UNESCO Institute for Statistics reported that 750 million young people and adults were unable to read or write, two-thirds of which were women with many living in rural areas. Having limited literacy skills impacts every stage of life and can perpetuate gender inequality, poverty and discrimination. The theme of this years’ International Literacy Day is ‘Literacy and skills development’ – with a focus on integrated approaches that connect literacy learning and skills development within the lifelong learning framework. Together with SDG 5 Gender Equality and SDG 6 Water for all, the President’s Appeal ‘Women, Water & Leadership’ (WWL) is implementing Goal 4, Education, facilitating access for women and girls to gain skills, including technical and vocational, to increase opportunities for employment, decent jobs and business ownership. In Long Tanyit, Sarawak, Malaysia, WWL is supporting 5 young women from the Penan community as they break gender norms and gain a Diploma in Welding (Level 4), giving them the capacity to work as welding inspectors and greatly improve their career prospects. Empowering women to take charge of their own lives, once the training is complete the young women will return to their native village and set up rainwater harvesting systems to provide clean water for their community, additionally helping to lay irrigation pipes needed for organic farming. 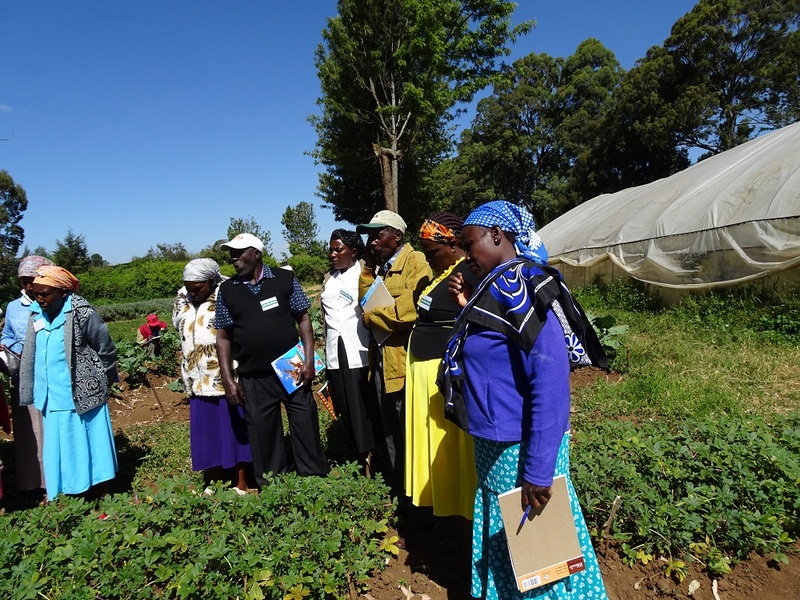 The village women will be taught how to manage the organic farm, increasing food security and subsequently providing a sustainable source of income for the villagers. 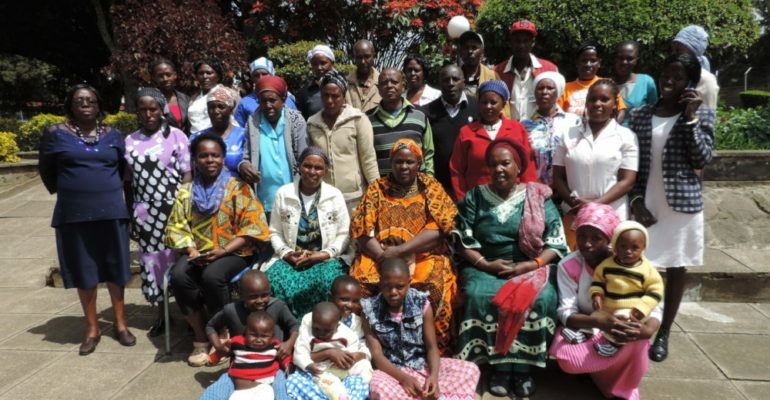 As part of a second project taking place In Nakuru County, Kenya, 24 women farmers and project managers attended a six-day residential training course at Egerton University Nakuru. Studying a variety of subjects, the women were taught the necessities of the farming business – including the characteristics of a successful business, the tracking of income and expenses and the relationship between supply and demand. Empowering and inspiring the women farmers to move from subsistence farming to creating their own businesses for profit, the women were directed to see their farms as assets and taught the benefits of traditional vegetables, production, management, seed sowing and care, together with the principles of land use management (Agroforestry) and Climate Smart Agriculture. Paying attention to financial literacy, budgeting, the securing of loans and cash flow management, the course is elevating opportunities for income generation for women and their communities. The third project under the WWL umbrella is WeWash, a programme aimed at improving literacy and vocational skills for more than 100 rural women in Stara Zagora, Bulgaria. Using a learning-by-doing methodology, WeWash trains women and girls in the often tricky subjects of national water legislation and democratic procedures, whilst developing skills needed for the women to communicate with relevant institutions and enforce their rights – the human right of access to clean drinking water and adequate sanitation serving as the entry point. Limited agricultural training and knowledge means the women have limited understanding of composting, and as part of the programme women are being taught safe composting, making it possible for them to dramatically reduce domestic waste, and to restore soil fertility and increase crop yields following the mass summer flooding. Education and vocational training is essential to improving productivity and economic growth and lifting households out of poverty. Women, Water & Leadership creates programmes that help achieve the Sustainable Development Goals, promoting access and empowering women and girls within vulnerable communities to prepare them for roles in the water, agriculture and energy sectors, to ensure no one is left behind. Find out more about the Women, Water & Leadership projects here.